Published in 1886, Robert Louis Stevenson’s Jekyll and Hyde forms part of the literature of the Victorian fin de siecle, literally “the end of the century”; a time of uncertainty as the current century came to an end and the new century approached. The literature produced in the final decades of the 1800s was increasingly marked by themes of moral and social degeneration, and pessimism. Jekyll and Hyde relates the personal, physical, and moral degeneration of Dr Jekyll as he is taken over by the animistic force of Mr Edward Hyde; a force that he awakened within himself through his own scientific experimentation. The novella picks up on many of the literary and cultural preoccupations of the fin de siecle in its use of the double or doppelgänger, its portrayal of the unruly and uncivilised unconscious lurking beneath a civilised exterior, and its critique of the myth of scientific and cultural “progress”. A novella in the gothic tradition, Jekyll and Hyde utilises many of the tropes familiar to the genre, but in a way that reflects urban Victorian society. • Traditionally, gothic literature has been set in far off places, and isolated rural locations. Even up to Stevenson’s time we can think of Wuthering Heights and Jane Eyre, which both contain elements of the gothic. • In setting his gothic novella in the city, Stevenson brought the horror of his tale closer to the readers themselves. • Stevenson uses the city not just as a setting, but also as a way of drawing out or emphasising some of the main themes of his story. The division of self in Jekyll/Hyde is linked to the social and physical aspects of the city, which are themselves divided between the daytime activities of Dr Jekyll and Mr Hyde’s night-time haunts. • Here we can also think of the contrast between Jekyll’s respectable house in the West end and Hyde’s sordid Soho residence. • Jekyll’s house itself is a divided space, the frontage wearing ‘a great air of wealth and comfort’ and at the back, the windowless ground floor with ‘the old dissecting room door.’ This reference to an old dissecting room immediately brings to mind the work of the resurrectionists, who would exhume the dead for anatomical study. This early suggestion of dark deeds under a cloak of respectability foreshadows Stevenson’s main theme. The divided house is both respectable and disreputable, containing both identities within the same space. Stevenson himself led a well-documented double life as a young man in Edinburgh. His youth itself was divided between the respectable life at Heriot Row and the seedier haunts of Edinburgh’s Old Town, vaguely prefiguring Jekyll’s double life. By day, Stevenson the respectable law student would pursue his studies with the other gentlemen of Edinburgh University’s fraternity; by night he would roam the streets of the Old Town drinking in the taverns where he was recognized by his bohemian appearance and his velvet jacket. 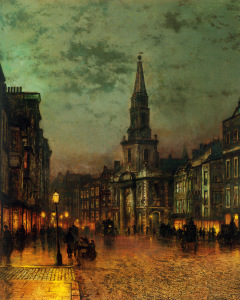 • In spite of the influence his experiences in the city of Edinburgh had on his writing, London was more recognisable to Stevenson’s audience, who through the popularity of writers like Charles Dickens were already familiar with the idea of London as a fragmented city. • The concept of the ‘other’ in literature refers to those who are perceived as different, or as not belonging, according to the socially constructed standards of a group who perceive themselves as the ‘norm’. The other may be someone who is of a different race, gender, culture, religion, social class, sexual orientation or nationality. The process of ‘othering’ involves the usually negative ascription of differential traits that frame someone as an outsider. • The literary double, on the other hand, presents a dilemma deriving from a conflict that cannot be resolved. The basis of the literary double is a blurring of the boundaries between two individuals. The absolute distinction that Jekyll promotes, between good and evil, between him and his other, gradually erodes over the course of his own narrative. He cannot maintain the distance between Hyde’s crimes and his life of study. • Jekyll and Hyde are the same person appearing in two manifestations. Their dilemma is unresolvable: to be rid of the problematic character, one must also be rid of the respectable character. • They share the same memories, the same handwriting, and occupy the same physical space within the story. 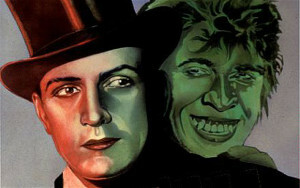 • The relationship between Jekyll and Hyde is based on their mutual knowledge of each other’s existence and experiences. One half overrides the other and takes control, but does not completely eradicate it. • Their identities become uncertain when the controlling consciousness of Henry Jekyll is inside the body of Edward Hyde. The initial impression that the physical state is an ‘illusion’ shows that the boundaries between them are beginning to break down. Jekyll is inside Hyde. 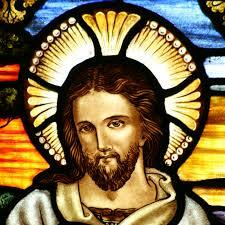 No longer in control of the physical transformation, his outward show of respectability is faltering. • *SPOILER* At the end of the story, Jekyll apparently commits suicide, declaring that ‘this is my true hour of death, and what is to follow concerns another than myself.’ The ambiguity of this supposed suicide is palpable. It is possible to read these lines as a realisation that the animistic internal force of Edward Hyde is too powerful and will soon take over. By that reading, the following reference to himself in the third person, ‘I bring the life of that unhappy Henry Jekyll to an end’ is Edward Hyde, murdering his creator. • The notion of the unconscious mind was not simply a Freudian innovation; 19th Century Europe had many philosophical theories of the unconscious. Leibniz was tempted to conceive the petit perceptions [unconscious ideas] as ideas of too low an intensity to affect consciousness. He thereby destroyed with one hand what he seemed to have built up with the other, the true notion of the unconscious as a province opposed to the consciousness and its significance for feeling and action… natural disposition, instinct, the passions in short, the mightiest influences in human life- take their rise in the sphere of the unconscious’. • Hartmann’s work shows that a greater power was being recognised in the realm of the unconscious mind at the time Stevenson was writing. • With respect to oneness, Leibniz famously claimed in a letter to Arnauld dated 30th April 1687, ‘that what is not truly one being is not truly one being either’. The wording of this statement of harmony is echoed in Stevenson’s story by Jekyll’s realisation ‘that man is not truly one but truly two’. This rebuttal of Leibniz’ philosophy places Stevenson’s representations of the mind alongside the European philosophers of his day who were promoting similar ideas on the power of the Unconscious. • These ideas would be explored in much greater depth with Freud’s Interpretation of Dreams (1900) and the birth of psychoanalysis. Dr. Jekyll and Mr. Hyde provides a critique of Victorian beliefs in science and progress through an examination of what it is to be civilised. This examination leads Stevenson to consider the separation between internal drives and external displays. His novella presents a number of dualities which manifest in both the physical world of the novella and the psychological spaces of his characters. Through an engagement with the psychological, evolutionary and degenerative theories that proliferated in the fin de siècle period, Stevenson reveals to his readers the primaeval, instinctual drives that lie beneath the veneer of civility, thus challenging ideas of scientific and cultural progress. The place of religion as a counterbalance to the scientific driving force of the narrative, serves as a reminder of what is lost in the name of progress. Dr. Jekyll is very conscious to present a civilised demeanour to the rest of the world; he admits to an ‘impatient gaiety of disposition […] hard to reconcile with my imperious desire to carry my head high and wear a more than commonly grave countenance before the public’, a desire which leads to ‘a profound duplicity of life’. Stevenson’s representation of the dual life Dr. Jekyll has been living is critical of the claims to respectability commonly made by the higher classes. In beginning to suspect the possibility of a connection between Dr. Jekyll and the unfavourable Mr. Hyde, the immediate instinct of Mr Utterson is to preserve his friend’s reputation. This episode can, according to L. Pykett, be read as a ‘specific moral allegory about Victorian hypocrisy and repression’. This sensibility extends even to the narrator. Upon revealing his acquaintance with one of the parties, the storyteller is immediately contrite, ‘I am ashamed of my long tongue. Let us make a bargain never to refer to this again’. Silence, then, is presented as a shield employed by people of a certain class to protect from salacious gossip. The experience of Dr Jekyll, as a member of the upper classes, and therefore ‘the quintessential symbol of intellectual life itself” (Kucich) shows that the impact of changes to contemporary society (i.e. modernisation) were not restricted to the working classes. In universalising the experience of the modern, Stevenson shows ideas of social progress to be as false as those of respectability. Stevenson’s characterisation of Edward Hyde draws strongly on evolutionary theory. The semantic network surrounding Hyde is by turns demonic, animalistic, and criminal. 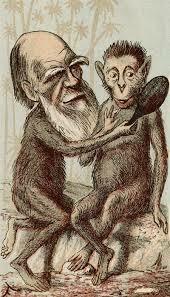 Hyde is a ‘hissing’, ‘ape- like’ ‘creature’ undermining the evolutionist treatments of psychology and culture, which were ‘essentially progressive in their interpretation of evolution, celebrating what they viewed as the upward movement of the human mind’ (Reid). The degeneration of Hyde’s character destabilises assumptions of the linear trajectory of the evolutionary process. The reaction of other characters in the novella to Hyde’s ‘hardly human’ form is one of utter revulsion. As a product of degenerative evolution, Hyde is an example of primaeval humanity, a living reminder of the evolutionary process and therefore a threat to notions of civilisation and cultural development. Recognising this, the other characters in the novella would seek to destroy him. ‘I saw that Sawbones turn sick and white with desire to kill him.’ The relationship between Jekyll and Hyde; that Hyde is a physical manifestation of Jekyll’s unconscious, suggests that this primitivism is within everyone. 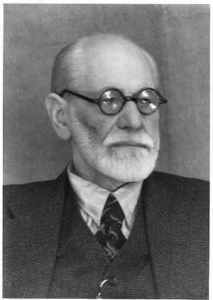 Developments in thinking about psychology at this time seemed to be making the private much more public, and as such the affectations adopted by the cultured were becoming destabilised as a distinguishing feature between classes. In addition to this, contemporary evolutionist Francis Galton was becoming well known for his study of the faces of criminals. His goal, to identify specifically criminal characteristics. The implications of this kind of study for society would have been serious; the mask of civility would no longer be a viable disguise. This notion of identifiable genetic predisposition may also have coloured some of Stevenson’s descriptions of Hyde. 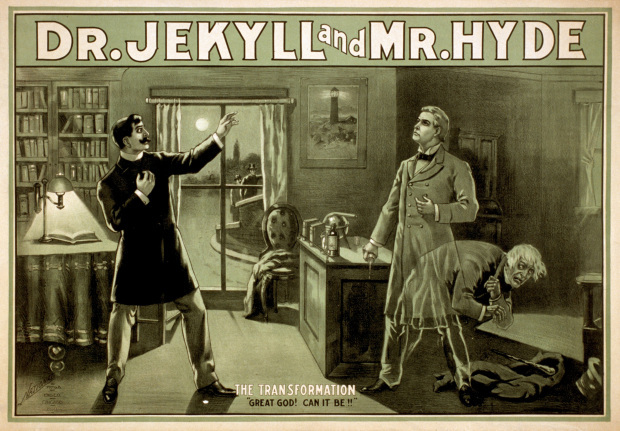 The relationship between science and religion in Jekyll and Hyde is highly antagonistic. Science and philosophy were becoming the new religion for a wide section of contemporary society at this time. Stevenson represents this through the near absence of religion in the novella. Religious considerations are made apparent in a habitual rather than an active sense. 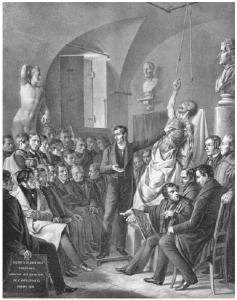 The clearest example of the struggle for supremacy between religion and science is seen in Dr Lanyon’s ejaculations of ”O God!’ I screamed, and ‘O God!’ again and again; for there before my eyes […] like a man restored from death- there stood Henry Jekyll!’. A man of science, Dr. Lanyon, in the face of such abomination, reverts to older modes of viewing and explaining the world. Edward Hyde is referred to as ‘evil’ and compared to Satan both directly and through the demonic descriptions of his physicality. This representation capitalises on the religious mistrust of science as dangerous and unnatural, a perception proved correct by Hyde’s release into the physical world. The negative impact of the loss of religion is presented most starkly in Jekyll’s final moments. He has begun to lose himself to his baser instincts and resolves to attempt to put an end to Hyde, ridding society of the danger he poses and as a result ending his own life. The exact circumstances of the ending remain unresolved, but the lamentation ‘God knows; I am careless; this is my true hour of death’ reveals the level of regret Jekyll has for his actions. In this final chapter, the reader ‘shares with Jekyll his slow awareness of his moral decline […] a respected English gentleman possessed by a recrudescence of evil’ (Hammond). For Jekyll, the realisation of the consequences of abandoning faith for reason comes too late. Kucich, J. (2001) “Intellectual debate in the Victorian novel: religion, science, and the professional” in David, D. (ed.) The Cambridge Companion to the Victorian Novel. Cambridge Companions to Literature. Cambridge: Cambridge University. pp 212- 233. Pykett, L. (2001) “Sensation and the fantastic in the Victorian novel” in David, D. (ed.) The Cambridge Companion to the Victorian Novel. Cambridge Companions to Literature. Cambridge: Cambridge University. pp 192- 211. Reid, J. (2006 i) Robert Louis Stevenson, Science and Fin de Siècle. Palgrave Studies in Nineteenth-Century Writing and Culture. Basingstoke: Palgrave Macmillan. Reid, J. (2006 ii) “Stevenson, Romance and Evolutionary Psychology” in Ambrosini, R. & Dury, R. (eds). Robert Louis Stevenson: Writer of Boundaries. Madison: The University of Wisconsin. pp 215- 227. Stevenson, R. L. (2008) Strange Case of Dr. Jekyll and Mr. Hyde and other tales. Oxford World Classics. Oxford: Oxford University. This piece was written in collaboration with Heather Burton for a presentation at Staffordshire University in 2011.